REGISTER NOW FOR SPRING FLAG FOOTBALL! We are excited to offer flag football and 7on7 football in the spring. 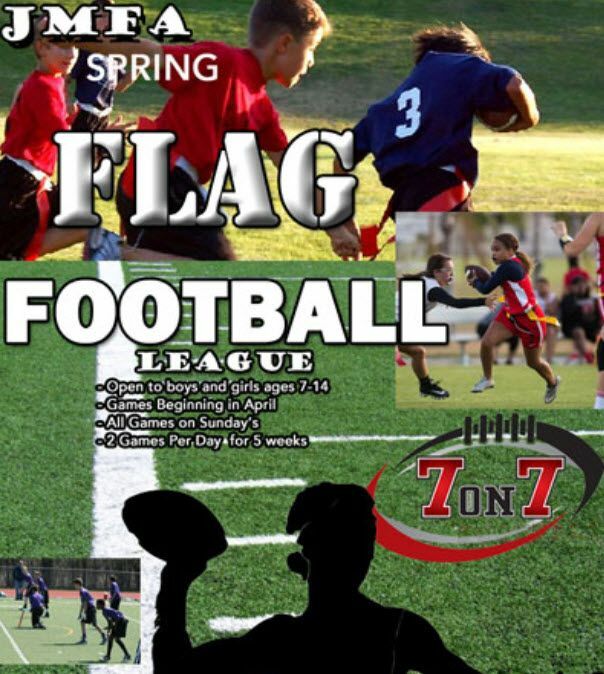 Whether you are looking to explore football in a safer way or wanting to hone your skills, JMFA's Flag and 7on7 league is a great option.